You are viewing a list of Zooey Deschanel's 1 appearance on Brooklyn Nine-Nine. 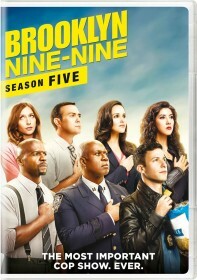 As Jake struggles with his first case back at the precinct, he encounters Jess Day, who is visiting New York, and enlists her to help him find his suspect. Meanwhile, Holt researches ways to increase office morale and Amy tries to figure out why Rosa keeps taking such long breaks.